I’d prefer to spend more of our time on her strong areas, so we’re spending just a little time on this weak one first thing every morning, right after our circle-time-ish stuff. 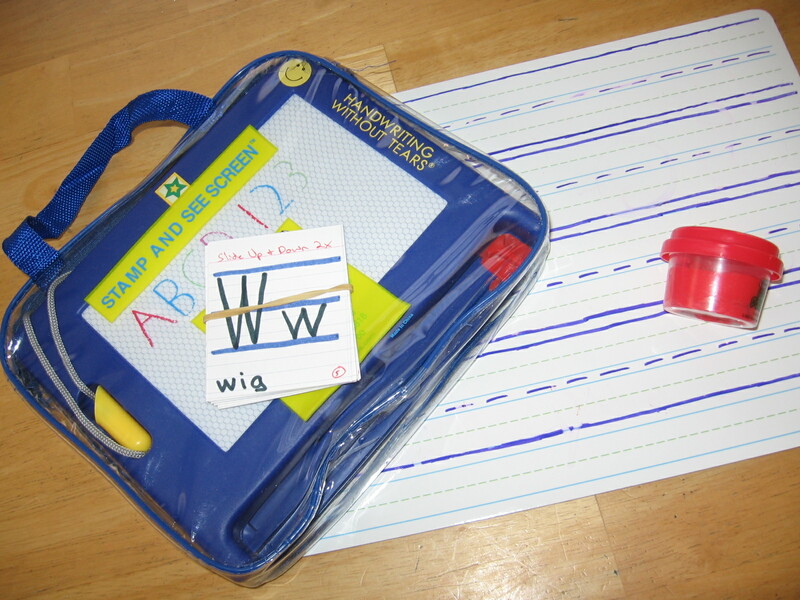 Riffing off HWOT with one letter a day, upper and lower case, using the HWOT magnetic board and then a wide-lined white board where D adds the letter to stuff I’ve already written to help make words. Following the order given for learning lower case letters, magic c, etc. No complaints thus far! It feels great to get this out of the way in the first 10 minutes!